Night running can be exhilarating but it can also be dangerous due to low visibility of obstacles in your path, the danger of oncoming traffic, running safely by yourself. These are important things to consider before you head out alone for a run in the dark especially because you will want to be able to run home safely to your family and friends when you are finished! 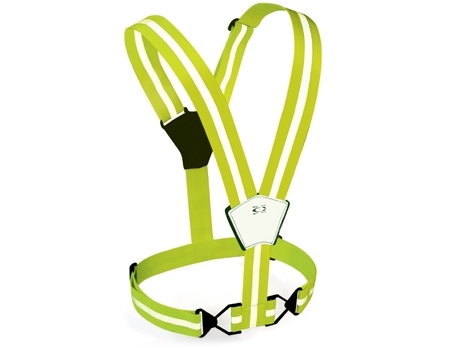 A headlamp–I love any PETZL headlamp. A neon colored jacket (the brighter the better) or a jacket using reflective fabric. Pepper Spray (as female runner this provides me with an extra sense of security) and you can quickly have it in your hands if necessary! A Road ID-This is an easy way to carry identification without having to worry about losing your driver’s license. 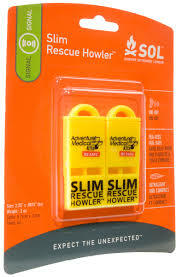 SOL Slim Rescue Howler-A flat safety whistle that you could even slip into the pocket of your Skirt Sports! Run with a friend if possible. Do you have any other essential items for running that should be added to this list. Please share in the comments below and pass this list along to a friend! Also, don’t miss out on my current Giveaways! The first is for Source Organic Whey Protein and the second is for a Kind Bar gift package. Good luck! I wear at least 2 blinkie lights and I always carry mace no matter what time of day (dogs are just as scary as people). I love that “vest” and am definitely going to check that out. I do have several pieces of Brooks Nightlife apparel and highly recommend it for visibility. If I’m running by myself at night I don’t wear blinkie lights because I don’t want to call attention to myself. I also stay on sidewalks so I don’t have to worry about traffic. If I’m with a friend and we are running on roads I make sure to have my blinkie light and reflective gear. I really need to get some mace to carry. I like that whistle too! And I ALWAYS have my cell phone and road id! Great tips! Mindy @ Road Runner Girl recently posted…Be Heart Healthy! 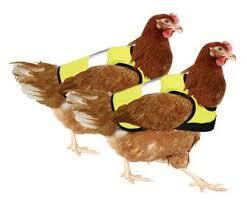 I always wear a reflective vest when I run at night. I really like the one you are wearing, looks like it would fit much better than my vest, which always moves around. Great post on safety! I always make sure to have my Road ID and my phone with me. I’m lucky because our neighborhood has sidewalks so I don’t have to run in the road! 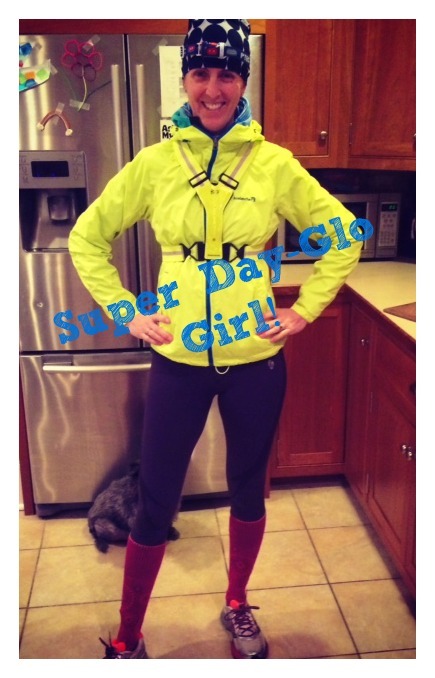 Michelle @Baby Blues to Running Shoes recently posted…Five for Friday and a winner!